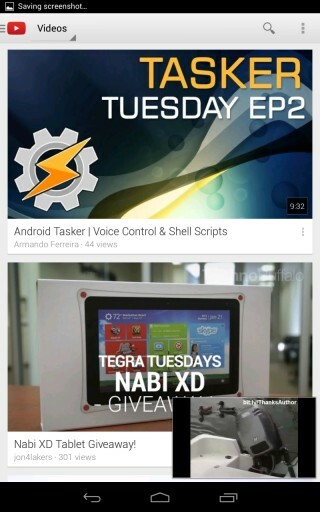 You can search YouTube, check your subscriptions or the video history, all while watching a video. It's quite clever: the video is minimized when you tap the arrow from the top-left corner or swipe down and it continues to play. 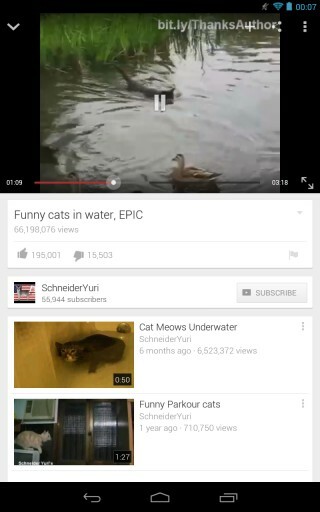 You can go back to the video by tapping the small player or swiping up. Unfortunately, this only works in the YouTube app, so don't expect to see the minimized player when you close the app. 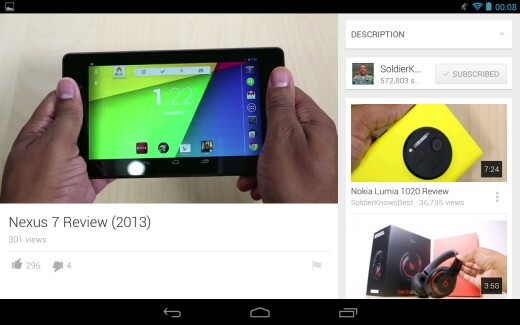 There's a new interface in the landscape mode, but only for tablets. 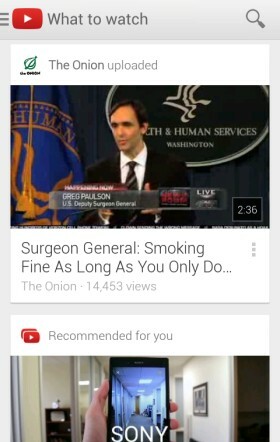 Until now, the video played in full-screen when you switched to landscape, but now the YouTube app shows suggested videos, comments and more. You can tap the full-screen button in both the portrait and landscape mode. Other changes: a new app icon, no more +1 button, HD and CC toggles when you tap the overflow button (a strange decision), playlist search, a new slide-out navigation and more. The new version is gradually rolled out, but you can manually download the APK file from here.